Collecting First Editions as Financial Investments. 24May Collecting First Editions as Financial Investments. A lovely copy of William Morris’ Kelmscott Chaucer came to market recently (last year, but that is recent in book collecting). It sold for in excess of £100,000, quite an increase on the £20 it originally sold for in 1896. If you’d put £20 in the bank in 1896 on an exceptional deal that promised you 5% per year but you were locked in for four generations, you’d have a balance of about £8,000. In fact, to get more than £100,000 back on your original £20 over the course of 12 decades, you’d need a fixed interest rate of around 7.2% (assuming monthly compound interval; you’re fixing for 120 years, you set the terms) to realise more than £100,000. It’s astounding how big a difference an interest rate makes over a long period (20% puts you at nearly half a trillion, I’m sure there’s a book plot where that happens somewhere). You see, that example just shows how buying rare books is a much better nest egg than putting the money in the bank, creating a pension, investing in stocks and shares, property. Actually, it doesn’t, the example shows you nothing. Firstly, banks don’t do that, though sadly it’s the interest rate that seems more elusive than the 1440 month term. Secondly, you didn’t buy a Kelmscott Chaucer in 1896 and will never have the opportunity to get one at that retail price. Thirdly, you won’t live until you’re 120, modern science might think you will, but modern science neglects the social armageddon (wherein nobody looks up from their phones for months, all physcial interaction ceases, until the last human dies on a toilet waiting for a like on Instagram, thinking it’s because nobody likes their duck pout rather than the fact that nobody else is left alive. That or Zombies). Fig 1. A facsimile, we haven’t had the 1896 edition, but that’s a different story. So what is a good example? Well, Sotheby’s sold a copy for just shy of £20,000 in 2000. It wasn’t pristine and lacked a couple of ties. But still, £20,000 nowadays for it would be cheap. It wouldn’t be a £100,000 copy, but certainly more than £20,000. Let’s £40,000 as there’s a similar copy on the market at that price. Doubled in 15 years, that’s not bad. An average interest rate of 3% over the last 15 years, would have given you £31,000. So that’s great, £9,000 extra, and you have had a Kelmscott Chaucer to look at for 15 years, albeit one lacking ties and a bit skewed and probably in a box - damn you Sotheby’s selling such junk. So that’s a great example? Well, it’s certainly more realistic. 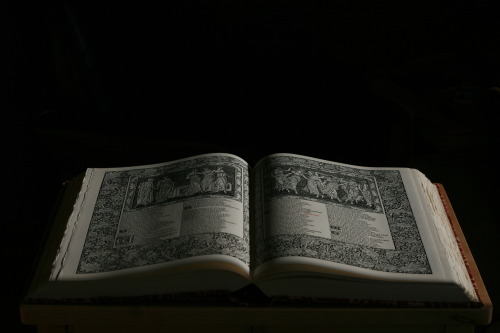 But let’s face it, the Kelmscott Chaucer is probably the most desirable book ever produced (if you don’t count that gaudy, bejewelled Rubaiyat that’s currently being devoured by lampreys beneath a smug iceberg at the bottom of the Atlantic). If a book was ever going to maintain demand over the decades it would be the Kelmscott Chaucer. So it’s an unfair book to chose. On top of that, £40,000 is the market price. It’s also the price at which that particular book hasn’t yet sold for. That’s not to say the price is wrong, it just hasn’t found its buyer yet. It will, I’m sure. Books, even desirable ones, can take a good while to sell (interestingly, the £100,000+ fine copy I referred to above sold almost immediately, rarity and condition are the power-combo). Books just aren’t that liquid. I read a piece the other day about the legendary bookdealer A.S.W. Rosenbach, in one letter to Frank Hogan he’d written: “I am as hard up as the devil and I would appreciate it more than I can say if you send me a check for $4,180.″ That was something in the realm of £75,000 back then but still a fraction of the amount Rosenbach was used to dealing with, also, it was 1933 and a bit depressiony. Still, the point is, Rosenbach, needed money and yet he had shelves full of ridiculously nice items. Books aren’t liquid. So, you’re resigned to the fact that it’s going to take a while to sell, but you want the money so you email your favourite dealer who offers you £20,000 for it. You ring your second favourite dealer who offers you £25,000. You ring that dealer who you thought was a little bit hairy and creepy, he offers you a staggering £30,000 for it, because he has a customer for it and…you never get the other reason because the phone call tails off into mumbling and, you think, some version of vocal snoring. You realise you might as well have had the money in the bank. You take the book to Sotheby’s, after laughing at the condition and joking that they can’t believe they sold such junk (ah, the dot-com bubble) they tell you it should have a low estimate of £35,000. You smile and set the reserve. They tell you their fees are 25%. They tell you their buying fees are 25%. If it sold for £40,000 you’d still only be at £30,000 (assuming no other fees). You think about putting it on eBay or Amazon but it has no barcode, and your pictures aren’t at the right resolution. Plus, nobody can get in touch with you because you can’t use their inane messaging system. On top of that you get crazygeoff74 offering you £250 and 37 metres of copper pipe every few days, increasing his offer gradually to £273.50 and including a 1994 Ford Fiesta without an MOT or carburettor. you decide eBay isn’t the way to go. Selling books is hard, not always hard work (often hard work), just hard to do. There are five Kelmscott Chaucers on the market, the finest book ever produced, there should be none. It’s a hard game. Well, that’s kind of the point. There aren’t any useful ones. There are plenty of books that have increased well beyond inflation and bank rates, but there are plenty of stocks and shares that have done that too. If retrospective review gave a series of flawless, reusable guidelines then they’d be guarded jealously or the market would collapse. Let’s try Birdsong for example, I recently sold a copy for £150. Retail was probably around £15 a decade ago. Great example, it’s a great book, well written, quick to reprint so scarce, but common enough to keep the market buoyant. You should’ve bought them years ago, whole carrier bags full (and you’d have got the bags for free back then). But I’m fairly sure I’ve sold copies in the past for £300. So is the price dropping? Maybe, maybe it’s done, maybe it’s a dead book, maybe it’s demand has dropped, there was a TV show, maybe that changed things, maybe it Faulks’s curly hair that nobody likes, maybe the hype’s died down, maybe the good collections all have copies now, maybe it’s just taking a few years to gather speed again, maybe people have forgotten about it because it hasn’t quite got over that awful wave of desire for modern books over those tried and tested for generations, maybe, maybe, maybe. If you like the gamble, be my guest. Fig 2. Birdsong, we’re currently out of stock. It wouldn’t be unreasonable to ask why I’m telling you all this, someone whose living is to be made from selling books and should be encouraging people to buy them as investments, because selling books is all we do right? Well, other than the fact that nobody reads this blog (I could be telling you to stop buying books and collect PDFs on floppy disks, it wouldn’t matter). the truth is that most collections we buy we pay more for than the collector did. The reason I’m telling you this is because I don’t like to hear the disappointed tone in emails when I suggest to people that their collections aren’t worth what they think (I assume it’s a disappointed tone, you never can tell with emails, they may be elated, if only there were some kind of emotional icon one could use). So, why do some collectors get more than they paid, and why do we disappoint some collectors? Here’s the rub. Most of the collections we buy are from collectors who’ve bought for the love of books. I’m going to capitalise that THE LOVE OF BOOKS. These are people who have spent decades, usually, finding the finest books for their collection, hunting rare items for years, taking them to conventions dressed as Spock to get them signed. Their love for the books has enabled them to get the really desirable things, things they’ve had to wait years for. Things other people want, and if other people want them then so do we (sometimes). The corollary (I hate that word, it sounds like it needs a couple of extra consonants) is that there are collections that we don’t want. I’ll give you a real example. It was a couple of years ago, I got a call about a collection of modern firsts. Sounds great, I said. All in fine condition, she said. Even better I said (secretly thinking that the collection was either wrong or her idea of fine was inaccurate). Nearly all signed, lined and dated, she said. Alarms bells started ringing (if a quote from the book is so vital to the resale value, then it ain’t that rare). She sent the list. I looked through it, all post-Harry Potter young adult type books, super-hyped and now worthless. I told her that I wouldn’t be able to buy the books. She replied telling me that she would take any sensible offer. I suggested £250. She replied that she wanted to get at least some return on the £12,000 she’d spent. I didn’t actually want the collection, I just thought that I’d pull a few out for reading copies for our daughters, and do the rest as a single lot - take a chance I thought…£12,000 would’ve been taking a chance, if that chance were zero. That was a collector we’d disappointed, but she’d bought the books without due consideration, she all but admitted this on the phone telling me she’d seen what Harry Potter had done and thought that if other people were paying that much for books that they must be a good investment. The thing is, they weren’t Harry Potter and the Philosopher’s Stone. They hadn’t appreciated over five or ten years, none of them had. And I mean none. There were certainly some books in there that would appreciate, just not yet, not for a long time. The other reason I’m telling you this is that collecting for investment polarises the market. When an investor buys a book for £100 some part of them is thinking about the resale value. This is fine, as a collector I sometimes do that, most collectors don’t have unlimited funds so it’s natural with expensive purchases. However, the one thing that’s better than thinking about the potential value is thinking about the purchase price. If you think the £100 book is an investment and is going to increase in price to £200 over the next few decades, then even better, pay £50 and you’re not only quadrupling, you’re hedging. That’s fine too, get yourself a bargain. Don’t expect it from a professional bookseller, many do offer discounts, but it’s not an entitlement. And whilst we’re talking about discounts, remember that you don’t buy from a reputable dealer to get a bargain, you work with a reputable dealer to build a relationship. Believe me, constantly haggling on price or expecting a huge discount will put you to the bottom of a dealer’s list when they’re trying to place a book. The price isn’t an issue really, the problem is the demand for non-highlight titles. An author’s lesser-known works have a lower demand than their popular, highlight items. 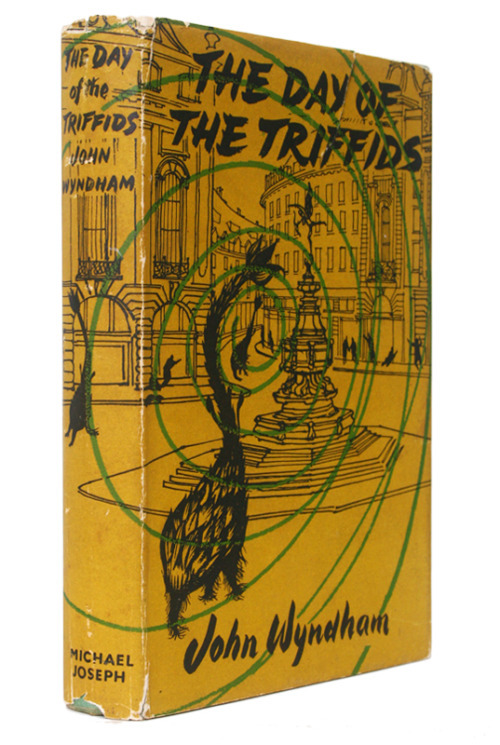 This has always been the case, The Day of the Triffids has always been more expensive than Jizzle, it’s a better book (it’s not better than The Chrysalids though). But Jizzle shouldn’t be ignored (weirdest sentence I’ve written this week). If you allow the potential future price on a purchase to dictate your decision, then you will end up with a fairly mundane collection. Of course I’m a bookdealer, I’m going to say that right? I want to sell you all my junk that nobody else wants. Not really, to be honest, we sell the lower demand items just as well as the higher demand items. Thankfully, the investor-collector is still a minority, most of our good clients want the stuff that’s impossible to find, some of it we’ve never even heard of. I’m not writing this to bemoan the investor-collector, some of them are great, I’m writing this to highlight the pitfalls. Fig 3. Currently in stock, possibly undermining this article (update: no longer in stock (update: back in stock)). Which brings me onto the next point, that collecting for investment can work. But it rarely works, at least not consistently and over an extended period, without the assistance of an expert. We have a great client who buys primarily highlight items, though he does supplement this with books he likes (a little too much he thinks). When he first sent me a wants list I noticed that most of them were expensive highlights, but there were a good number that were just great books printed in high quantities. His collection will fare well. It is well rounded and though he hasn’t bought the books for future value, I’m confident that for most of them the demand will not lessen. He is an expert collecting what he loves. Compare this to the post-Harry Potter collector who spent £1000 on some Potter-Clone-Magic-Werewolf-Powerbadger book, only to find it unsellable now at £20 and you’ll see my point. Not an expert. Book collecting is a long game, a decades long game. If you’re not an expert, find a dealer who is and work with them, but you need to question why you’re buying books if you don’t know anything about them. They won’t tell you what books are good investments and which are poor investments, most don’t care a dot for that. They will however give you expert advice on building a collection. If not for investment, then what for? For the love of the books, the joy of the hunt, the pleasure of the possession. It’s a bizarre, barely-rational, generally-demented, passion is book collecting. Those of you who are collectors in the truest sense know this already, I’ve got you to the bottom of the article and you feel fine, perhaps even a little better about your collection. If you’re buying purely with the expectation of financial gain, then I hope I’ve given you a little insight into the potential concerns with that. Right, anyone got a carburettor for a ‘94 Fiesta?